For some people, writing comes naturally and easy. That is why you have so many great authors and writers all over the world. However, for the rest of the world, great writing can be a headache and a huge challenge. 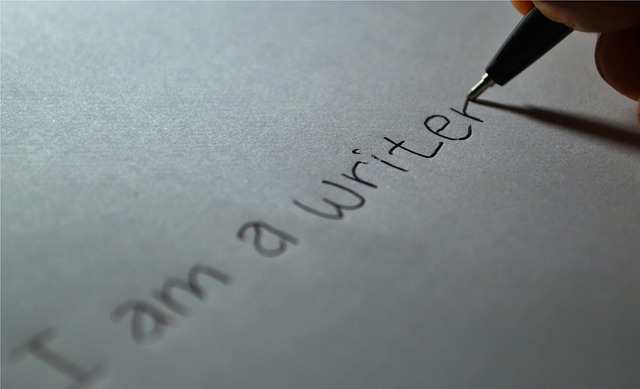 These 11 tips for improving your writing can help you get better when you write. Whether you are trying to write emails, messages, reports, essays, letters or speeches, they can make a difference. Writing is not just about work or something that we should look as a task. Writing can be fun and helps you exercise your brain. 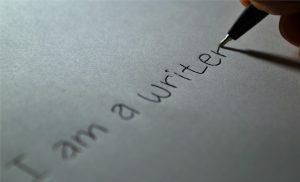 There are many benefits to writing and writing better. Below, are some of the best ways to improve your writing skills. Some of the greatest writers in the world have done their best work doing spontaneous writing. However, not everyone is born with such gifts and has to compensate for that flaw. To make sure your writing delivers the best possible results, think before you decide to write. Gather your thoughts and organize them before you set out to write. There are several Mobile apps that are tailored for writers who face issues like these. Putting your thoughts together before hand can give you a clearer picture of where you want to go with your writing. We all make mistakes when it comes to grammar. The English language is one of the toughest to master as far writing grammatically correct all the time. None of us are perfect and can use some help. There are a lot of apps and sites that are designed to help you find and fix grammar errors in your writing. Using these tools can actually help improve your writing as you learn about mistakes you never knew you were making. There are several styles you can use when you are speaking to someone. The same rules apply to writing. Choosing the correct style of writing depends on the audience you are addressing or want to target. In conversations, we speak to our friends and family in one tone. However, when we are speaking to our supervisors, colleagues or in a business setting, our tone changes. There are several types of writing such as formal, business, persuasive, descriptive and other forms of writing. Whatever it may be you are trying to write, it is because of a reason. No matter what it may, you have a purpose behind what you are trying to write. It is important to remember why you are writing in the first place. This will also serve as a motivation and push you to get it done. One of the most common mistakes people make when writing is forgetting whom they are writing for. You must keep in mind that the writing is not about you, but the readers. You are trying to convey your message to those readers and it is all about them. Avoid including information that is only relevant to you and no one else. We all learn something from others everyday. That is what makes the world go around and keeps it moving forward. The same principles apply to writing. You can learn from other good writers and use their styles. Ponder on their strategies and use them accordingly. Using a few methods that have already been proven to work is great. Especially if you combine them with your own style. Many of us suffer from procrastination. We often put things off even though we know we have to do them. This can often happen when you write something. The best way to help you beat this procrastination is by setting a regular schedule. Find a time for when you will do nothing but write. It can be in the morning, during lunch or during a break. Writing unscheduled can result in stress and anxiety. Using a personal journal or jotting down notes can help you save ideas for what you may want to write later. It will also help you during those times you may be stuck or experiencing writer’s block. Apps that can be used like post it notes are great for this. You can use this as some form of personal journal or diary. The notes may come in handy later on when you are looking for material or ideas. Many great writers enjoy editing other people’s work since it can help them focus on theirs. Find someone that has some material he or she may want edited or looked over. In turn, they may edit your work as well and you can help one another. We often miss mistakes in our own work until we see them in other people’s writing. These days, most of us hardly use longhand writing unless we really have to. Digital writing is so much easier for many people. But, when you are looking for a change, using a pen and paper can do the trick. Use longhand writing to help you process your thoughts better. Research has shown that handwriting helps to improve our cognitive abilities. The best tool a writer can have at their disposal is the dictionary. There are words there you may not have ever thought of using. Or words that can give you an idea about something you may want to elaborate on. The same goes for a thesaurus since it can help you say the same things, differently. Repetition can often make any writing bland. Using different words in the dictionary can help mask those flavorless words. ‹ Than vs. Then – Which One To Use?